Accused cop killer Eric Frein, one of the FBI's 10 Most Wanted Fugitives, was captured after a 48-day manhunt, police said tonight. "Eric Frein was dedicated to killing law enforcement members," Pennsylvania State Police Commissioner Frank Noonan said in a news conference with Gov. Tom Corbett. "I can't think of a more dangerous occupation than going out into those woods and looking for him." Frein had a sniper rifle and knives but no shots were fired during his capture, said Noonan. He was taken to the State Police barracks in Blooming Grove, the same place where he allegedly ambushed two state troopers. Noonan said Frein was shackled with the handcuffs of Cpl. Bryon Dickson, who was killed in the shooting at the barracks, and driven there in the late officer's police vehicle. The suspect was captured by a team of marshals who happened to spot him near the hanger. Frein gave up without a struggle and got down on his knees to be handcuffed when approached by the marshals, police said. The suspect was in good condition and required no medical attention. Frein had eluded authorities since Sept. 12, when he allegedly killed one Pennsylvania state trooper and injured another during his attack on the barracks. At times, 1,000 officers searched the rugged mountains for Frein, who police said had planned his attack and hiding for years. The lives of residents in the area were disrupted by the manhunt, including school closings and event cancellations. Police believed Frein, a self-trained survivalist from nearby Canadensis, had previously hidden supplies in the woods that he could draw from. They found two pipe bombs, an AK-47, ammunition and various food and supplies they believe belong to the suspect. On Tuesday, police investigated a possible sighting of Frein made by a resident in Barrett Township, said Trooper Connie Devens, a spokesperson for the Pennsylvania State Police. It was one of several such sightings. Pennsylvania cop shooting suspect Eric Frein in 2009. A Pennsylvania town had banned trick-or-treating this year while hundreds of cops search nearby woods for Frein. Barrett Township said its annual Halloween parade and 5K Scarecrow Race were canceled indefinitely, and trick-or-treating was banned this year. But township officials told ABC News tonight that there will be trick or treating tomorrow though the parade won't happen. Notes found in the woods, allegedly penned by Frein, offered a "cold-blooded" and "chilling" account of how he shot and killed the trooper last month before escaping into the forest, authorities said. "Got a shot around 11 p.m. and took it. He dropped. I was surprised at how quick," Lt. Col. George Bivens said at a press conference Oct. 8, reading from the note police believe Frein wrote. "I took a follow-up shot on his head-neck area. He was still and quiet after that." Police said they linked Frein to the ambush after a man walking his dog discovered his partly submerged SUV three days later in a swamp a few miles from the shooting scene. Inside, investigators found shell casings matching those found at the barracks as well as Frein's driver's license, camouflage face paint, two empty rifle cases and military gear. 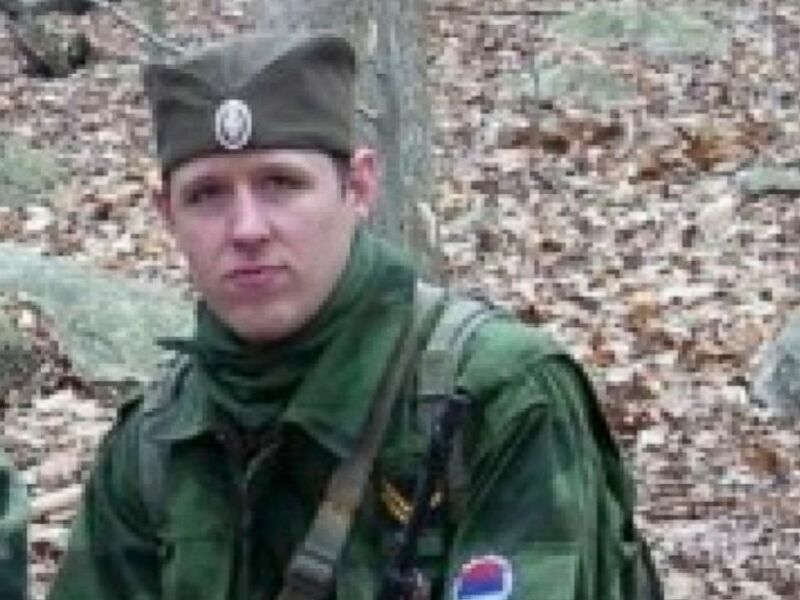 Eric Frein is shown in this undated file photo provided by the Pennsylvania State Police. His criminal record appeared limited to a decade-old misdemeanor case involving items stolen from a World War II re-enactors event in upstate New York, for which he spent 109 days in jail. A man and a woman believed to be Frein's parents, reached separately by telephone on Thursday, declined to comment to the Associated Press. Frein is charged with first-degree murder and various other offenses, including two counts of possession of weapons of mass destruction filed after police discovered the pipe bombs. Pike County District Attorney Ray Tonkin said he'd seek the death penalty against Frein. Trooper Alex Douglass was shot in the pelvis and critically injured in the ambush, which took place during a late-night shift change. Douglass remained hospitalized until Oct. 16, when he was discharged to a rehabilitation facility, state police said. "If you attack troopers, and a civilized society, the Pennsylvania State Police will bring you to justice. Eric Frein is a coward," the Pennsylvania State Troopers Association said in a statement. 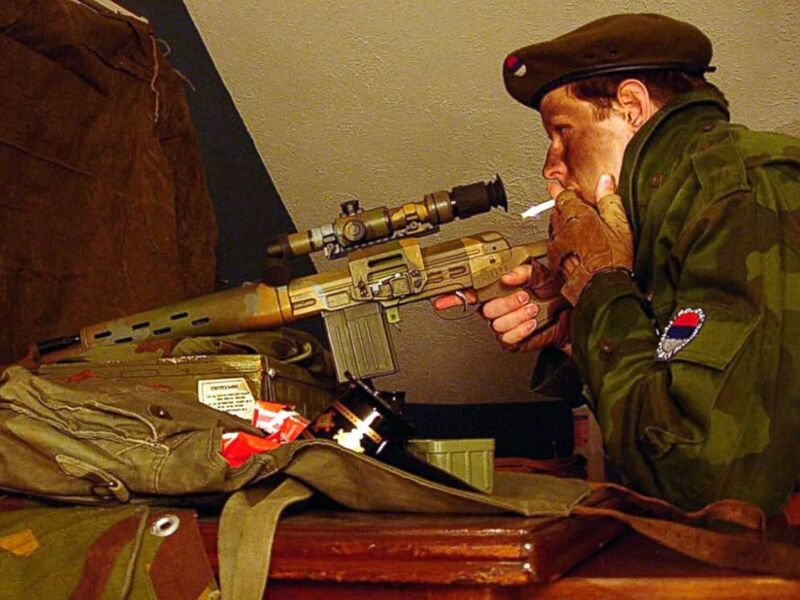 "Cpl. Bryon K. Dickson II and Trooper Alex T. Douglass are true heroes."